LogFinity is a digital phone and radio recording system that records, analyzes and evaluates communications. It is a cutting-edge PC based recording solution with an open platform architecture, it is the most robust, reliable, scalable, and affordable recording system in the market, that addresses small-scale to large organizations. LogFinity enables you to capture telephone and radio conversations for virtually any purpose, whether you are looking to ensure top quality customer service, and mine customer calls for invaluable intelligence, identification/storage of threatening calls, audit trail of verbal commitment, dispute resolution, compliance with regulations, or to protect your company from serious lawsuits. There is no limits to the returns on investment (ROI) you can get from your LogFinity recording investment. The LogFinity open platform architecture was designed to handle a very high load of calls with a maximum performance, using minimum hardware requirements. LogFinity platform is built on standard hardware components and operating system providing you with flexibility and easy to use interface. LogFinity architecture makes it easy to customize and integrate LogFinity with other systems. LogFinity Software Development Kit (SDK) provides Developers and system integrators with an option to integrate with any information system such as Workflow, ERP, and CRM, to get the benefits of LogFinity‘s rich features with minimum time and effort. Implement a reliable and affordable recording solution for the beneﬁt of your business. Be confident that every call has been recorded. Encrypt and secure your recordings and safeguard them from unauthorized access. Chose your recording mode according to ﬂexible recording criteria. Capture customer/caller interactions in traditional (TDM), IP, and mixed telephony environments. Have a smooth migration path to VoIP. Capture agent’s screen activity to get a full overview of agent’s interaction during the call. Tag interactions for quick spotting, sorting and reference. Integrate with ACD, Call Centers, and PBXs to get an advanced call information. Access, manage, and configure your recording system through an intuitive web interface. LogFinity runs up to 128 Channels (phone lines) per machine; with no limits of the number of machines that could be used, increasing the capacity up to thousands of channels, making LogFinity extremely scalable, meeting your business needs. For mission critical systems, when physical redundancy is important, LogFinity Redundancy is your optimal solution, as it achieves maximum reliability using (1+1) hot standby technique. To be conﬁdent that every call has been recorded, Calls Veriﬁcation module conﬁrms that every call has been recorded and stored with its information. Enterprises need to secure their recordings, store, and safeguard them in a safe place, so recordings won’t leak out of the hands of authorized personnel. Tagging calls elevates the identiﬁcation and analysis of your calls to a higher level, where you can sort, reference, and search calls related to certain tags such as: New customer, bomb threat calls, new offer, and service cancellation. 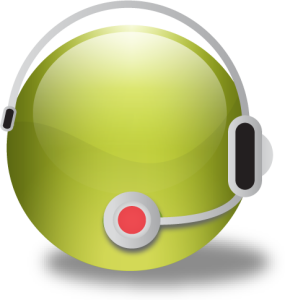 Logfinity provides real-time monitoring of calls and channel status. For immediate evaluation and assessment of the agent’s performance, calls can be monitored remotely while the conversation is taking place. To get full overview of agent’s interaction during the call, LogFinity Screen Capture ensures that and more, by recording the agent’s screen activities. If your organization is thinking about moving to the VoIP path or already uses VoIP, you do not need to worry, because LogFinity can already handle VoIP. It is fully integrated with most IP PBXs and protocols, such as SIP, H323, Cisco Skinny, Alcatel-Lucent, Siemens, Avaya, IPC, Ericsson and Nortel. LogFinity Compression increases system storage capacity at the same time as it achieves a high quality of recoded conversations. LogFinity uses the excellent MP3 format that gives you up to 219 hours of storage per 1 GB. Multi privileges can be given to users and to groups to access and configure the system. You can set recording, playback, administration rights according to your enterprise’s preferences and unique needs. With a powerful integration module, LogFinity makes PBX integration simple by using SMDR ports. So when LogFinity is connected to the trunk line, it can capture additional information from the PBX such as extension number. LogFinity is fully integratable with most ACDs and Call centers, which allows LogFinity to get more advanced call information, that can be accessed from a single system. You do not even need to use the manual, because LogFinity is so intuitive; there will be little, if any, training required to use the system. Users familiar with MS windows can start using LogFinity instantly. LogFinity has a compelling and enhanced search feature where you can view calls with full details using enhanced list view. With LogFinity web interface, multi privileges can be given to as many users as you want, to access and conﬁgure the system with its full features, securely from any where, at any time in the world, through the Internet, or locally over the Intranet. E1,T1- ISDN and CAS protocols.